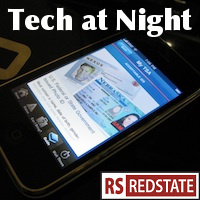 Tech at Night: FCC overreach begins to get noticed. NSF Science Poll: Americans compartmentalize Science Tech at Night: Netflix does the right thing. I’ve been talking about FCC overreach in this space for a long time, but now the Obama FCC is trying so hard to go so far, everyone’s noticing now. Yes, the FCC’s plan to attack free speech got so much unkind attention that it’s been pulled, for now. Don’t count on it being gone forever, though. Because they still haven’t given up on Net Neutrality. Commissioner Michael O’Rielly points out that Chairman Tom Wheeler’s plans are wrong and an overreach, however just as importantly, Commissioner Ajit Pai calls it “Groundhog Day” because this will make at least the third attempt to grab this power. Wheeler’s extremism on Net Neutrality, as part of his greater statements recently, of course I predicted from the day I learned he hired Gigi Sohn. But still, there have been reactions to Wheeler coming from all around the Internet, not just at the FCC itself. Marsha Blackburn is ready to fight. Greg Walden wants more reform. Phil Kerpen reminds us of the real, socialist Net Neutrality goals, as expressed by Robert McCheseney, founder of pro-Net Neut group Free Press. Mike Wendy sees more regulation coming. Also note that Americans are much better off Broadband Internet-wise than the radicals ever want you to think. CBS admits Aereo won’t hurt them, but still hopes the Supreme Court will crush innovation anyway (because the fact is Aereo threatens sweetheart Cable-Broadcaster deals). Hey, you know what? If CBS is so vitally important that what they say goes, let’s just nationalize CBS and zero out the shareholders, and see how they feel about that? Huh? Oh, right. Big, cronyist corporations only like big government action in their favor. I’ve commented before, to much howling from Google fans, that the difference between Google and Apple is that Apple is in the business of making and selling stuff. Google however is in the business of gathering data about people, and selling that data in the form of advertising. Here’s more evidence for that, as Apple is not opening up user data the way Google does. This is relevant because when each company goes and make policy statements, we need to understand what their self-interests are on any given issue. Now this is very interesting. The President wants to open up patent review to the public. I think that’s very interesting. Also interesting is that one of Obama’s advisers is pointing out the core problem, one I’ve said for some time is the core problem: not bad kinds of patents, but too many patents. Attack the over-issuance of patents, don’t go after specific industries, such as software. After aiding patent trolls by passing the ABA-favored America Invents Act, the administration may actually be doing a 180 on this issue. Thankfully. Valve insists they’re not spying on their users, but no actual proof of this is given. Just explanations. This is what happens when you give yourself over to monolithic DRM, folks. You have to trust Gabe Newell and whoever he happens to hire.